I have been working in the customer service industry for over 12 years now and have been successful in figuring out the secret for great customer service. Through this blog post I will reveal it to everyone. What is that secret? Is it a CRM tool? Is it some skill development course that I am planning to share with you? Yes, it is as simple as that. 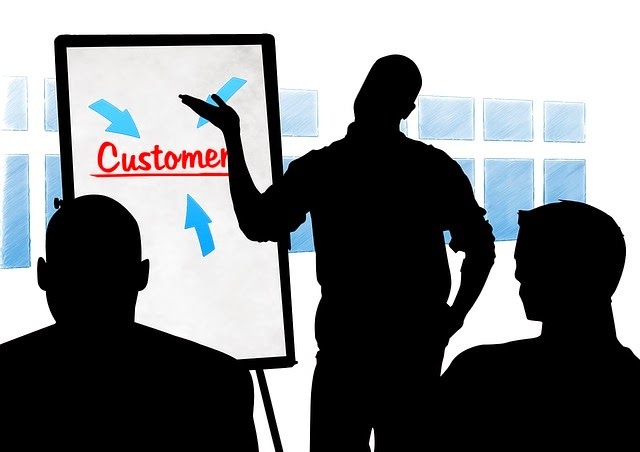 I have interacted with many customers during the course of my work life and have figured out that listening to the customer is the most important skill when interacting with customers. I would say customer satisfaction is majorly dependent on this. Every word that the customer speaks or writes is worth its weight in gold. I have also been a customer and interacted with customer support of different organizations. Such interactions helped me to confirm that active listening is the most important step in providing great customer service. Recently, I had a bad customer service experience. I complained about emails sent by me not being received by the customer service department of one organization. I communicated this over phone and twitter to their customer service department. The response I got on twitter was to send an email to their support email address. Just look how mechanical the response was. Obviously a customer would get frustrated when he is told to do something that is not working and it is the exact thing the complaint was all about. On phone support too, I got a similar response initially but then once I got hold of a manager who chose to listen to me, things started to fall in place. Listening is not only important to help customers but also for the organization. Customers are the best analysts of the product. They use your product and could give valuable suggestions for improvements. In the current process that I am working for, customer feedback is taken very seriously. In fact some very good feedbacks from customers have helped introduce new features and improve existing ones. It is a win-win situation for both the organization and the customers. When customer feedback is taken seriously and implemented it helps retaining customers for life. Who doesn’t like to be heard? When a customer realizes that here is an organization that takes credible action on feedback given he/she is inclined to be associated with the product or service for as long as possible. Such a happy customer is most likely to recommend us to friends & associates as well. No amount of marketing can substitute word of mouth publicity. Today is the age of technology. You may come up with a great product idea. It may be the best product ever created but it will not take much time for your competition to catch up. If anything is going to distinguish you from your adversaries, it will be how actively you listen to your customers. Treat your customer well and even an average product will give stiff competition to the best product in the market.